Joni Vanderslice is owner and President of J Banks Design Group, known for timeless design in both residential and commercial interiors, with clients spanning the globe—from Aspen’s Innsbruck Inn to the Castello di Casole in Tuscany to her home base of Hilton Head Island, South Carolina. Joni has spent a significant amount of time traveling through Africa for inspiration on both a personal and professional level. 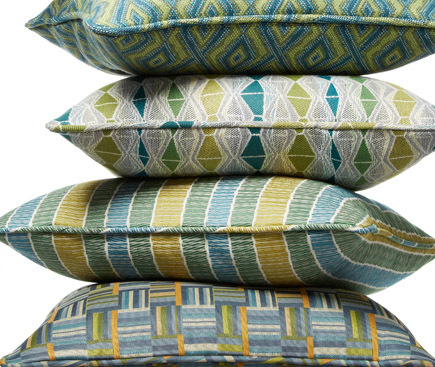 As students of fabric, her beautiful new line from Kravet caught our eye, and we had to learn more. Here she shares the fascinating and uplifting story behind them, merging two things we absolutely love: good causes and gorgeous things! My design company, J Banks, created a fabric line for Kravet, inspired by my trips to Africa—which have become more frequent with the opening of our orphanage, Valentine Project, in Tanzania. 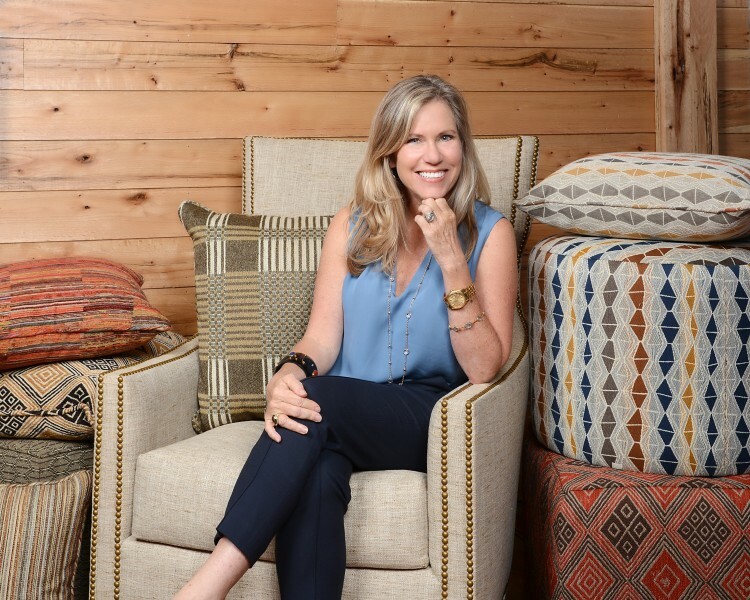 When Kravet approached me about developing the line, I thought about the bold beauty of African fabrics, and their cultural significance; their fabrics are important and full of meaning. On our last trip to Tanzania, there was a 50th anniversary celebration and special fabrics had been made just for the event. As I’ve traveled beyond Tanzania to Ghana, Ruanda, and Kenya, I noticed that each country has different fabrics. I love to look closely and see how the fabrics and patterns vary in different countries. I started collecting them, so it made perfect sense that they would be the jumping off point for this collection. The African geometrics are much less structured than ours. There are softer edges, and more irregular shapes, which come from the original block printing. Block printing is like stamping. The edges wear down so you don’t get perfect edges. You can see these shapes in the carvings around the doors in Zanzibar. To me, it is those little details that make the fabrics feel fun and different, adding an artisan look. We chose colors based on landscapes. The blue/teal colors reference the coast, while the reds, greens, and browns recall the plains and the mountains. The neutrals are what you see on safari. It’s all about connection to the natural landscape. Joni visiting the Valentine Project. When I went back to Kravet with the idea of doing an African-inspired fabric with tribal patterns, they were thrilled with the concept. After we completed the designs, Kravet offered to donate some of the proceeds to the Valentine Project, which is the cause of my heart. 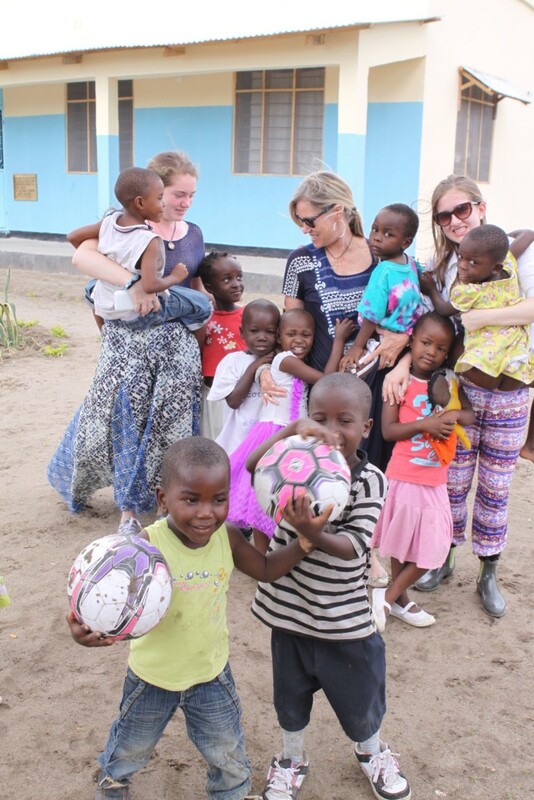 The Valentine Project is an orphanage, located in Dar es Salaam, Tanzania. It became a passion of mine when I first visited Africa in 2009. The orphanage is currently housing 19 children and we hope to grow it. It’s a really special place: we want the kids to be integrated with the village, so they feel a part of the community, not separated and living behind a wall. Working with local and international rotary clubs and charities, we have created filtered wells for the orphanage and are setting up a chicken farm to provide a source of sustenance and income for the children and the institution. Now for every yard of Kravet fabric sold, the Valentine Project benefits. 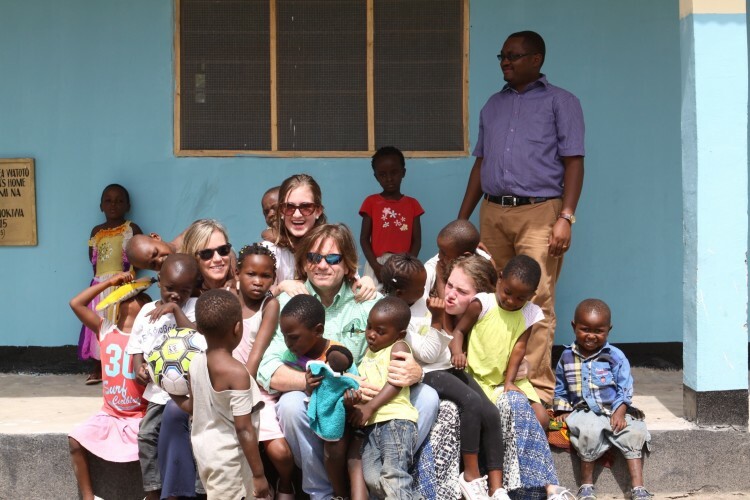 J Banks is proud of its work in Dar es Salaam and thankful to everyone who helped make the Valentine Project a reality! Joni with her daughters and husband at the Valentine Project. 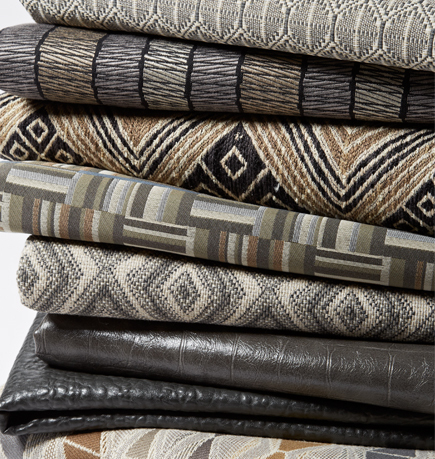 For more on Joni’s collection for Kravet, click here. For more on the Valentine Project, click here.